There’s a story behind this fabric. Some years ago, Groupon had an offer for a local fabric warehouse which I had never visited. It was a great little Groupon, so I snapped it up, plugged in the address to my GPS, and headed to the warehouse. It’s a massive place, three floors and multiple rooms on each floor. It took me half the day to get through the main floor, and that was as far as I got. Chicagoans will know the place by this description: it’s messy, overwhelming, and the selection is half-treasure, half-trash. I’ve purchased some beautiful silk crepe there of a nice quality and weight, for a shockingly cheap $7/yard. I’ve also purchased some poly silky that ended up in the garbage, literally, after the pretreatment washing. (That one still surprises me. I’m usually a better judge of fabric and can avoid mistakes like that one.) There really is buried treasure in this warehouse, but the accent should probably be on the word “buried.” Everything is a cut above the quality usually offered at big box retailers, but beyond that, quality varies. A lot. In any case, on that particular shopping day, I needed to find enough fabric to use up the groupon. This would not normally be a problem for me, but it was my first time in this warehouse. I didn’t quite have the lay of the land, so to speak, and I spent far too long wandering around with my jaw open, trying to figure out how to navigate the rows and rows and rows and rows of fabric. And rows. And rows. 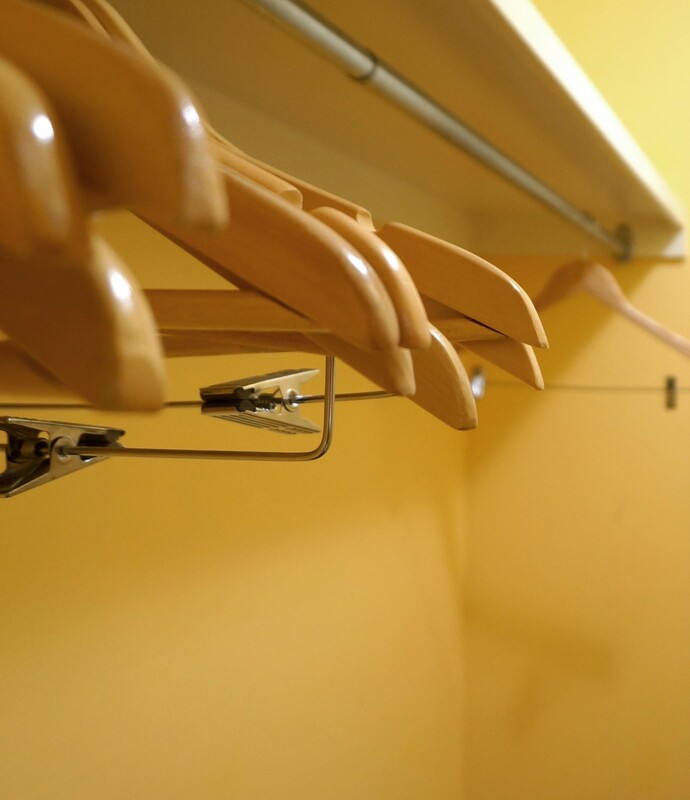 It’s really disorganized, though you do start to get the vague impression that evening fabrics are sort of located in one room, more or less, and day wear in another. The home dec stuff is definitely segregated from the garment fabrics. Some things are on shelves, some on steel posts, some heaped in baskets, some leaning against walls or laying on the floor. You’ve never seen so many bolts under one roof before. I found the $7/yard silk crepe and a really pretty pink brocade that day. And I also found the fabric to make into this. 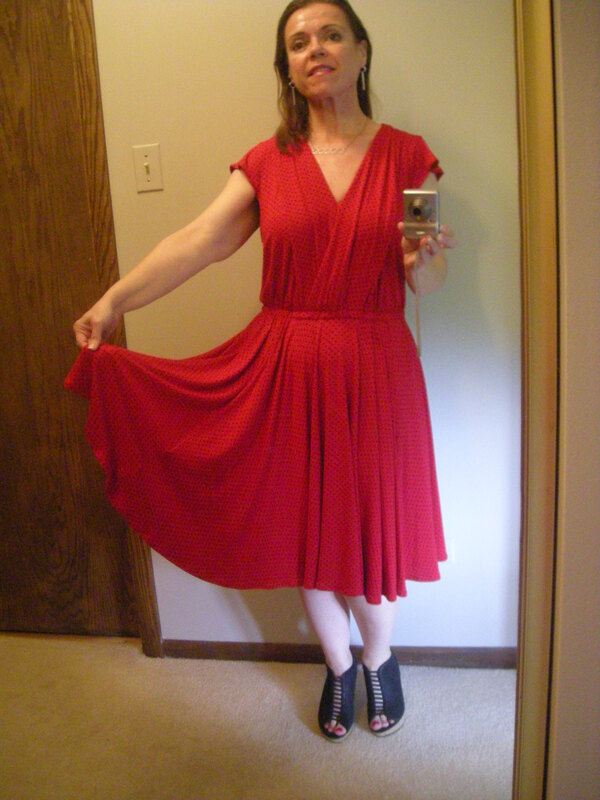 This is a red rayon-lycra blend that turned rubbery after a wash in cool water. 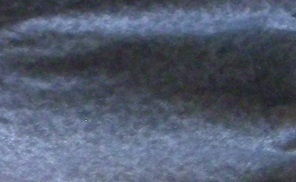 Rayon can get rubbery like that sometimes, but usually cold water doesn’t affect it that way. Usually, it’s in response to steam — not all rayons are comfortable with exposure to steam. So I don’t know what happened here, It’s possible that the cool setting on my older washing machine wasn’t all that cool — this prewash happened right before the dang thing died, so anything is possible. But the rayon was definitely altered after that washing, as can sometimes happen with rayons. So the weight and drape of the fabric was affected. I’d originally though to make a skirt with this fabric, something fluid with gores, maybe. But that idea went out the window after the prewash. And then I was never really sure what to make, but last month’s stash sewing contest inspired me to pull out this fabric and find something to do with it. I wanted something that resembled view F, the version shown in the lower left corner drawing. But that version has a shaped hem and ruching on the side seams, so I ended up playing mix-and-match with several pattern pieces to get the finished garment. I made a FBA, and I ended up hacking off the long sleeves to make 3/4 sleeves because the fabric over my wrists was just irritating. I knew I would always be pushing up those sleeves and figured I could put an end to that with the scissors! My only real regret with this top has to do with the way the back neck facing is applied. Normally, we apply facings last, after shoulder seams are finished. But with this draped cowl, there is no front facing piece. The cowl is self-facing. The back neck facing piece is still applied after the shoulder seams are stitched, meaning that you have this awkward bit where the back neck facing, the shoulder seams, and the cowl front are joined. I didn’t like that, but it didn’t bother me enough to rip it apart and re-do it. I really like the final garment, even though the fabric is not so great. It feels a little sticky and dense in the final garment, but I wear this one frequently. 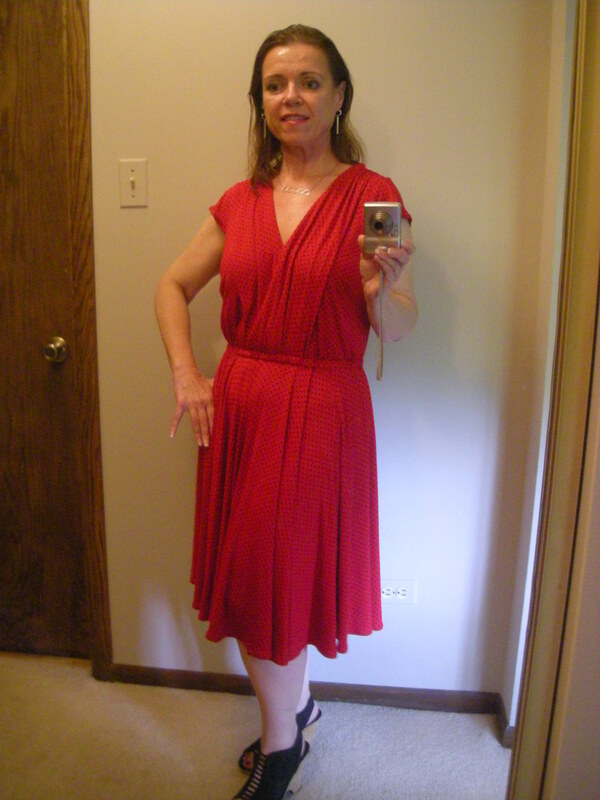 The color is good, and the fit is good, and the rayon actually drapes nicely at the neckline. I like it so much that I’ve already made it again. The second time, I attached the back neck facing before sewing the shoulder seams, and the finish is ever so much neater. I’ll show you the second version someday! The main lesson in this garment is that it’s often worth it to buy a better quality fabric and treat it carefully. I ended up with something wearable, but that might be more due to luck than to selection or skill. Have you ever accidentally turned rayon into rubber? 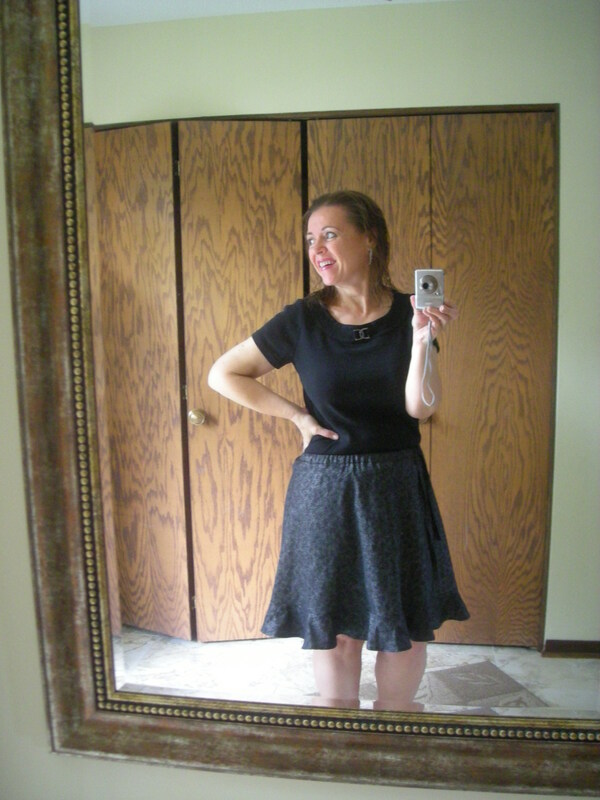 This little flounced skirt was made with a TNT skirt pattern I developed last summer. (Inspired by Ungaro) I didn’t know I was frankenpatterning a TNT skirt when I made the Ungaro knock-off, but this is one that I could easily make over and over again. This time, I made it in a bit of stashed cotton broadcloth, black with a silver pattern that looks a bit like a night sky. I bought it when the galaxy prints were dominating the runway. It’s evocative of those galaxy prints without being too specific — and I think that vagueness means it won’t become dated as quickly. Prints do become dated fast. Here’s a crop of the print, tiny silver pinpoints on a black background. It almost looks mottled. In any case, I whipped this one out pretty quickly as part of the June stash challenge. I sewed 30 yards for that challenge and have loads of new things to show you, which I had planned to do long before now. Things have been more than a little hectic here the past few weeks as we’ve had everything from problems at work to a gas leak in the house. So I’m just now looking around and saying, “Where was I?” I can’t believe it’s been a month since my last post! Gosh, I’ve probably already worn this skirt four times since I finished sewing it. This time, I didn’t underline the fabric. It’s a light broadcloth, but I wanted to keep it light. In the other two versions I made of this pattern, I underlined both and was very happy with the results. The Ungaro knock-off was underlined with a batiste which provided just enough body to let the quilting cotton hang smoothly and have a bit of movement. 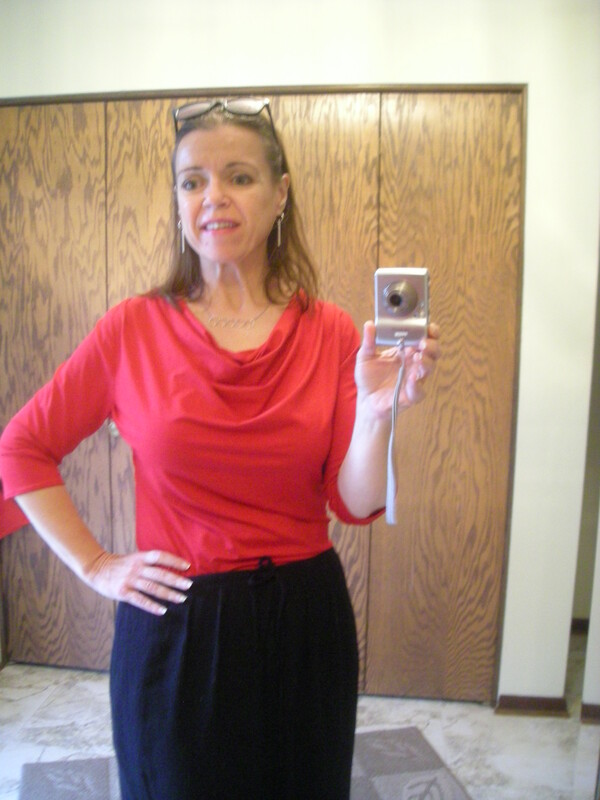 The other version is a mid-calf skirt with no flounce, and I underlined that one with some white shirting. I wanted that skirt to have a stiffer hand, and the shirting gave me just the bell shape I wanted. If you look in the photo of this black and silver version, you can see that it hangs in loose, soft waves. If I had underlined it, those waves would not be as fluid. For this particular fabric, which has a bit of edge from the silver and black color scheme, I thought a little softness would be the right choice for balance. I didn’t want this to look stiff or hard. So this one is a win. Honestly, most of the garments I made for the June challenge were wins, and it was a lot of fun to dedicate a month to volume sewing. I can’t even believe how much I finished in just a month — but we can always do more than we think we can, if we just focus on the task, right?